Get your hands on that exquisite timepiece that you've been eyeing this Lunar New Year! 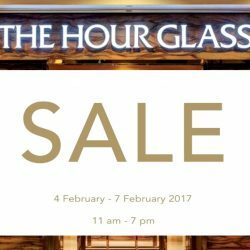 The Hour Glass is hosting a special sale at Raffles Hotel Singapore from 4- 7 Feb 2017. Mark the date on your calendar and visit them before time runs out! 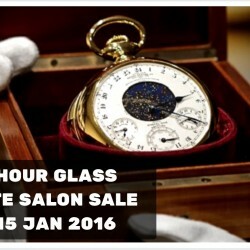 Mark these dates on your calendar for the highly anticipated sale at The Hour Glass that carries a wide range of luxury timepieces at great discounted prices! Happening at their corporate office from 14 to 15 January 2016, bring the below invite for admission of yourself and another guest!